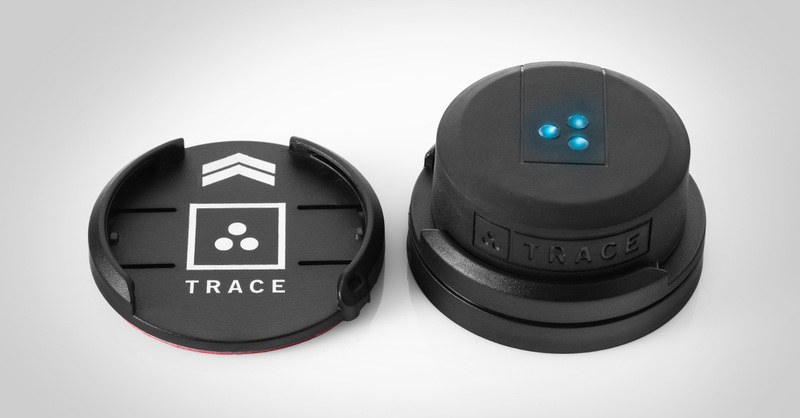 Trace is a small, durable, and sophisticated piece of action sports technology. 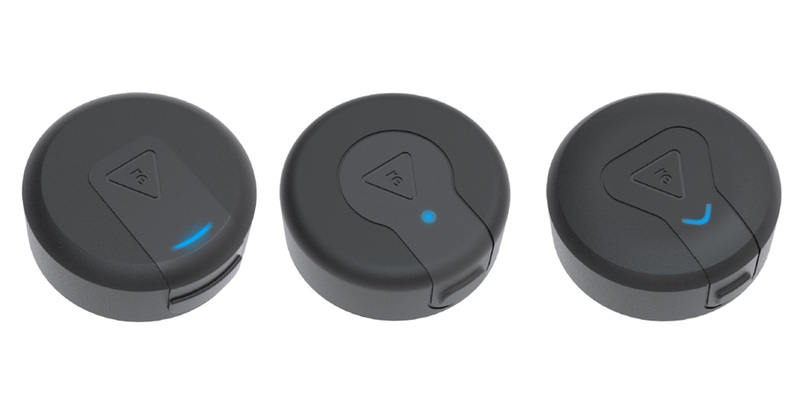 The rugged, connected device is as resilient as its thrill-seeking users. It’s designed for ultimate ease of use so it doesn't interrupt the action. 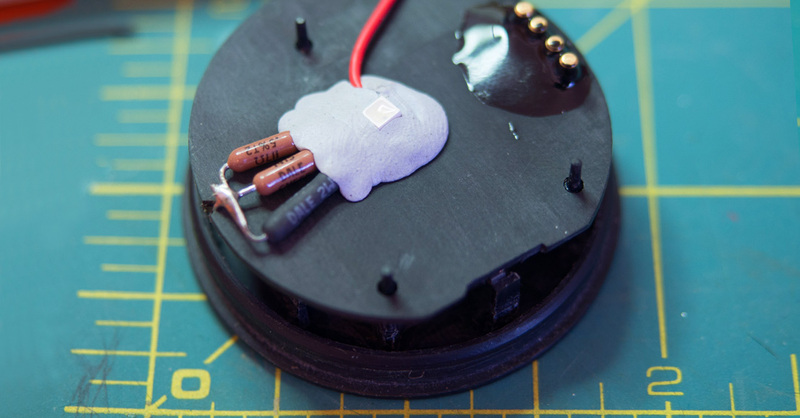 Indestructible Trace is a miniature electronics package inside a piece of hardware that can withstand wet, hot, sandy, freezing, icy, and vibratory conditions. 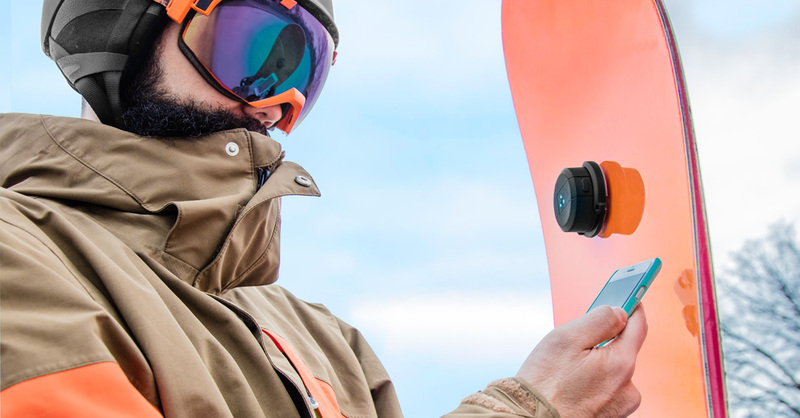 The Trace sensor and mount came about when the creators of AlpineReplay, an iPhone and Android app for skiers and snowboarders, recognized that the technologies to enable a companion hardware device had become available and affordable. Bresslergroup’s engineers made Trace rugged and durable in the face of extreme conditions. This required configuring tightly packed technology inside the peanut butter cup-sized sensor and figuring out how to protect the circuit board, battery, and electrical contacts from hostile elements. Bresslergroup’s engineers made Trace rugged and durable in the face of extreme conditions. Our industrial designers worked with Trace’s team to develop a strong, simple look and feel that enhances durability and ease of use. 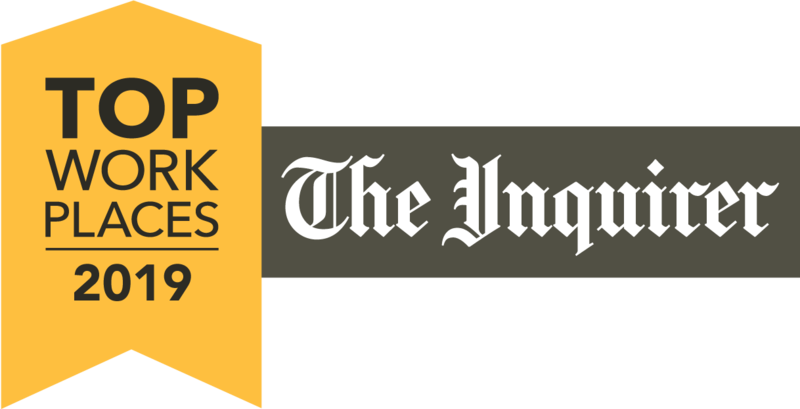 Much trial, error, testing, and problem-solving went into ruggedizing Trace. Bresslergroup’s engineers experimented with dry and wet sand to sand-proof the device, or decrease the number of places where sand could get stuck and cause malfunction. For more simplified assembly and to prevent sealing issues, the pins that make the electrical connection to the charging base have been molded into the casework and connect to the PCB on the inside through a mechanical connection. 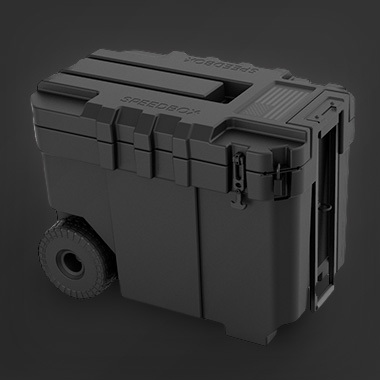 Trace is designed to snap together in a simple top-down assembly that creates a watertight seal. The full over-mold is fabricated in a single tool and allows for a strong, hermetic seal. Rubber, a material that won’t degrade in seawater and can withstand constant wear and tear, was chosen for the over-mold. Much trial, error, testing, and problem-solving went into ruggedizing Trace. It also gives Trace a rugged look and feel, providing a tactile, ribbed texture for the user to grip. It further seals the side button, making it highly tactile and able to be actuated by feel. The device was tested to make sure it meets all industry standards — IP68, drop proof, and shock proof. 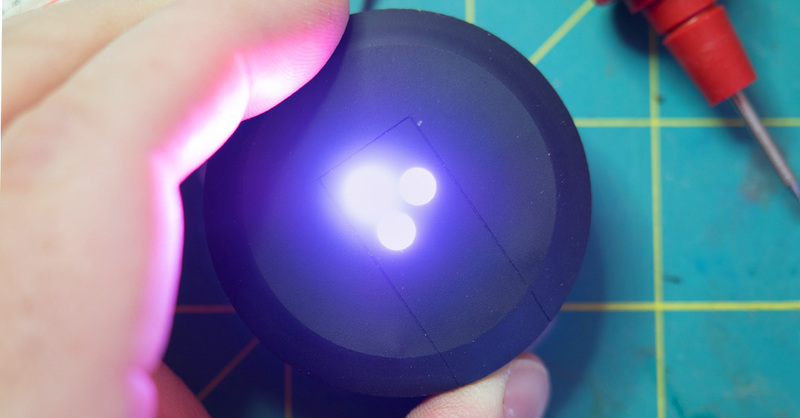 Three dots echoing Trace’s logo serve as indicator lights. Getting these to illuminate uniformly was a challenge. A single LED is mounted behind the integral light pipe and is directed by three light cones. Originally the indicator lights were designed as a ring, but hot spots in the light pipe prevented consistent illumination. The solution to change the ring to three dots makes it function more effectively and reinforces the product’s brand identity. 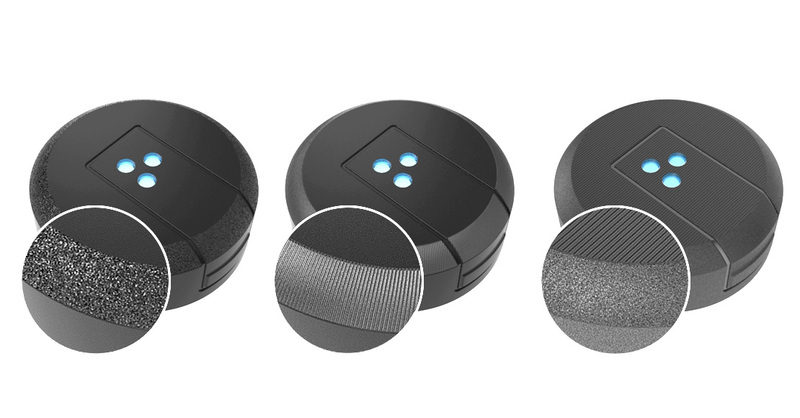 It was important to design Trace for ultimate ease of use — users twist and click the Trace sensor into its mount, push the side button, wait for the indicator lights to turn blue and blink, and then go. 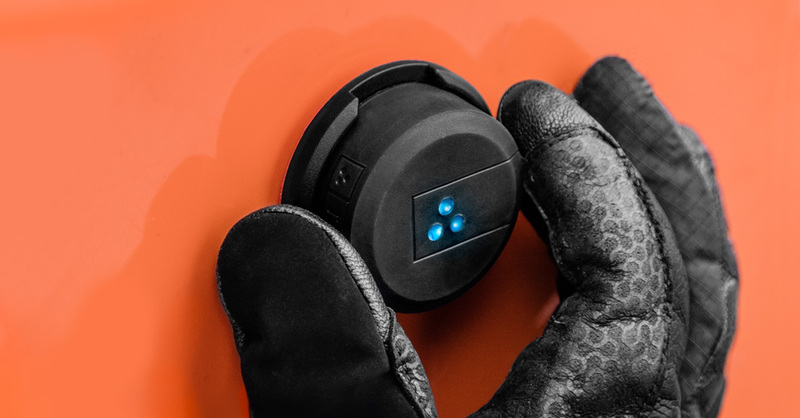 The keyed twist-lock mechanism is foolproof – there’s only one way for the sensor to click into its mount, and a rotational stop prevents the puck from going past the locked position. The base design also allows for single-hand disassembly. NASA used Trace to collect accelerometer data from parachute release on rockets. They released an entire payload from 3,000 feet without a parachute to measure impact, and Trace was the only thing to survive. The base charging station uses the same mounting method, so users only need to master one motion. Different types of mounts were explored, and the bayonet mount with a two-prong flange was chosen partly because there’s nothing protruding from its clean, rounded silhouette that will break off during strenuous activity or stub bare toes on surfboards. Trace brings the tracking capabilities that had already been available to runners and bikers to surfers, wakeboarders, skiiers, and snowboarders, making their experiences even more awesome. 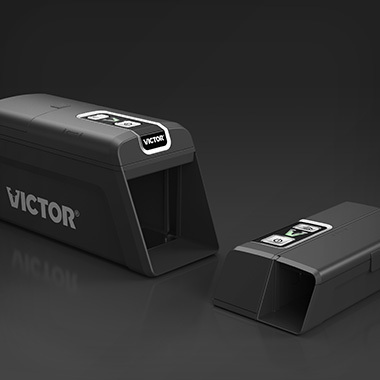 It tracks and stores data – speed, vertical, jumps — from every session. Post-session it connects to the user’s smartphone via Bluetooth and sends the data to Trace servers for processing. Within seconds all data is available, shareable, and comparable to other Trace users’. 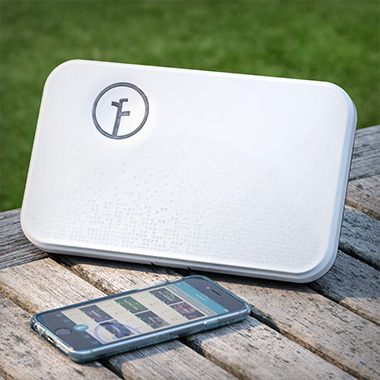 Trace’s durable hardware stands up to all conditions to make this possible. 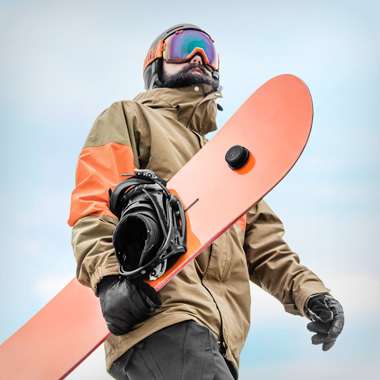 Equally at home in snow and surf, it is designed to be versatile enough to attach to equipment used for other types of action sports as the company scales. Ultimately Trace will be applicable for every action sport, enhancing athletes’ experiences beyond oceans and slopes.